Real Life Seniors Gettin’ Around. It has come to my attention that the Beach Boys are on tour again. You may remember the Beach Boys from your youth in the 1960s; but if you are reading this blog you are most likely more familiar with them through their cameos through the 1990s in fabulous TV shows like Full House. All the original Boys in the 1960s. I am finding it hard to decide if i should buy tickets or not. I have mixed feelings about the band going on tour again, because it is 2013 and most of them are pushing 70. Now that the band members are no longer seniors in high school but rather seniors in real life will hearing them sing about surfing, stealing their daddy’s car, and hooking up with young California girls be as exhilarating? As long as their harmonies are still tight I think the concert will be better. In case you didn’t know, in their heyday The Beach Boys had over 40 #1 hits. 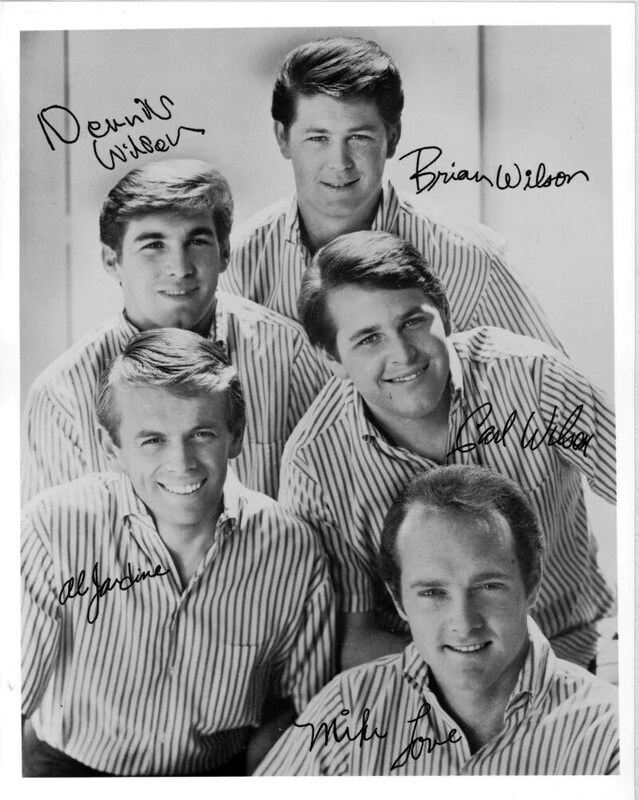 My personal favorites are “Don’t Worry Baby,” “Wouldn’t it Be Nice” and the uuber saucy “Be True to Your School.” Brother’s Dennis, Brian, and Carl Wilson decided to start a good old family band with cousin Al and close family friend Mike. Originally called the Pendletons, the always beach ready teenagers sang fabulously flirtations ditty’s about earning teenage bragging rights through surfing, drag racing, and by taking girls wherever they want to go in their very own woody. I love them the most for the way their innocently suggestive lyrics still sound dirty today. Although i will enjoy seeing the remaining members in concert (Dennis Died in 1983 due to “misadventure” when he drowned while drunk and Carl died from Lung cancer) i am still going to miss the original group i know from the 1960s. Beach Boys, I miss the way you all hold one large but very light weight object with one arm, your hip matching Hawaiian shirts and jackets, and most importantly your seductively smooth harmonies. Beach Boys I miss your face.